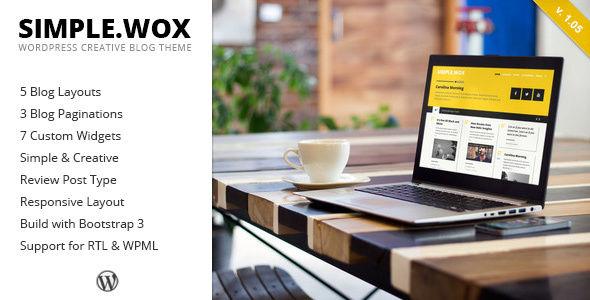 SimpleWox – is a Simple and Creative WordPress theme. Clean and intuitive design with a tons of features & options: 3 pagination type, widgetized areas, custom widgets, 5+ blog layouts and much more. 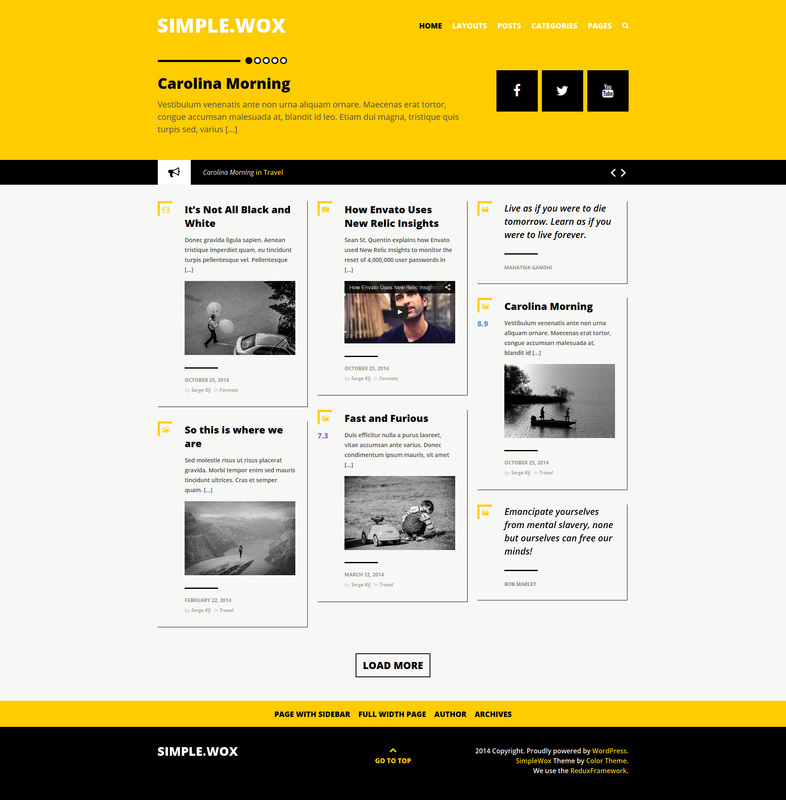 SimpleWox is a simple way to create your own Blog, with no technical knowledge or expertise required!